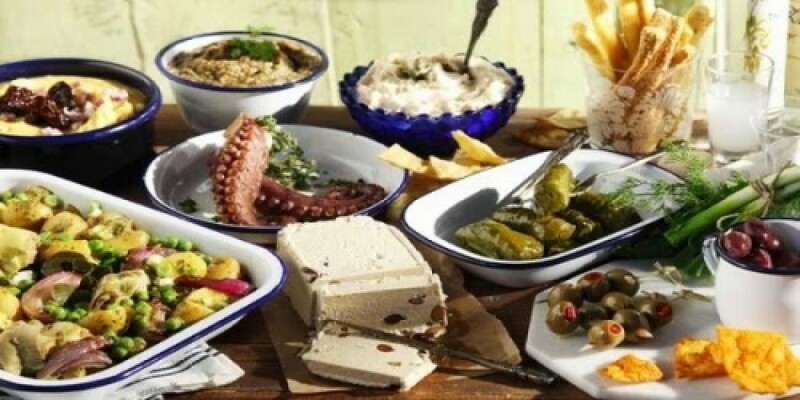 Greek Cypriot cuisine is influenced by Greek and Turkish traditions but also has its own unique flavours. The love of olive oil and the combination of fresh bread, cheese, seafood and seasonal ingredients make this cuisine a typically healthy Mediterranean diet. The best way to enjoy a Cypriot meal is to ask for ‘meze’ plates which will give you a variety of dishes to sample. A good tavern that serves a ‘meze’ will offer you seasonal dishes and a variety of dips, salad, vegetables and meat or fish dishes. Typically the meal is finished off with fresh fruit or yoghurt with nuts and honey.